Beautiful work. 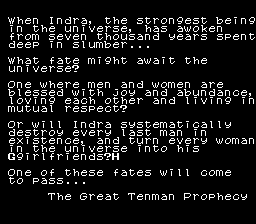 I'm very excited to see this obscure RPG getting translated! Otaku no Seiza in English! 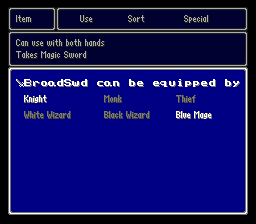 Items hacked to 16 characters, enemy names hacked to 16 characters and most menus hacked. 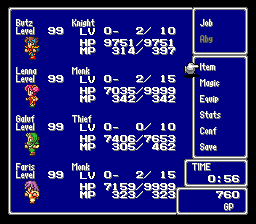 Still need to learn a Force and get a party member to start hacking those menus, but game's pretty much hacked. 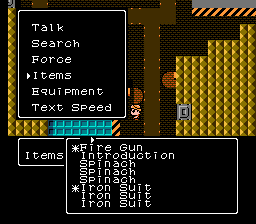 Wow, the translation looks pretty good, from what I can tell. Even if it is obscure. Could play some new mmx levels for sure ! keep it up ! the life indicator's "L-" will be replaced by a 3-piece red bar indicating how many hits the jacket can take. once it's off the hud will revert to it's normal state. I really like seeing the HP of the jacket! Is this strictly visible in the HD pack, and not the base game? Such a useful feature to add. it's only working with the hdpack. 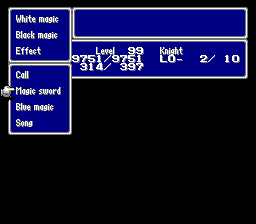 it's simply made by doing a memorylookup for the hp of the jacket and changing the tiles for the "L -" which is normally sitting next to the hp bar. 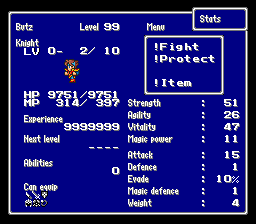 im pretty sure some clever person could pull this off on the vanilla rom too, it should work technically because the number of sprites on the hud is not increased, I just reused 2 existing ones. Would it be possible to show the health of the robot? Even if quantized to 2-3 bars, that would be helpful, too. 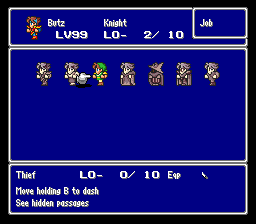 my end goal is to add a hp bar to the robots, and for the bosses, but the current problem with that is that i have to have tiles in the HUD to replace for those (the hdpack is incapable of drawing new elements as far as i know) so i havent figured out a good way to do it yet. 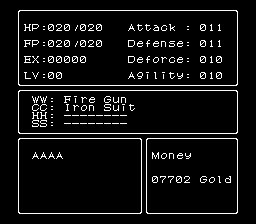 at the end of the day, the procedure would be the same so once i figure out how to draw new sprites on the hud, i can just do a memory lookup and draw them just like i did with the jacket. 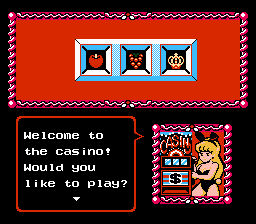 EDIT: While I can re-translate/revamp the dialogue, I cannot do the same for the character select sequence nor change the Sailor Moon logo. EDIT 2: Another not to point out. 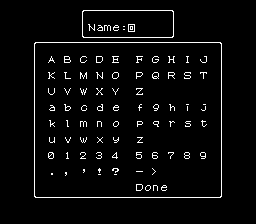 No matter how I try it, I can't rewrite the ending dialogue for the final sequence because when I do, that only makes the text disappear. Not sure why you would use that adaptment style tho. It's based on something pretty loose, cringey, butchered to death and it has been superceded by a much better one found in the recent rereleases. DiC styled stuff is still ridiculously popular in the Moon community, mainly because it's what most of us had to grow up with back in the day. 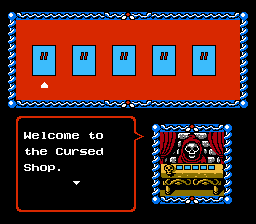 I'm still fond of it due to nostalgia but I do definitely prefer the more modern proper translations overall. That is true. 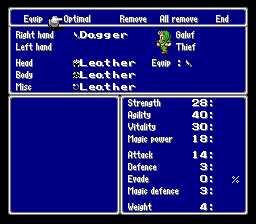 And if we're being honest here, well when I was trying to revamp the translation, it was mostly trying to mix the modern style with the classic DIC names on this one. I mean it'd be the best of both worlds, you know. It can't be all bad. DIC gave us Adventures of Sonic the Hedgehog. It wasn't even DiC who dubbed Sailor Moon, it was Nelvana. I understand nostalgia for the 1990s dub, corny and inaccurate as it is, but...I feel like characters who live in Tokyo and wear outfits based on sailor-suit school uniforms should maybe have Japanese names? At the very least? That would be Cardcaptor Sakura, Midna. DiC dubbed the first two seasons (Season 1 and R) of Sailor Moon. Cloverway dubbed the second two seasons (S and SuperS). But the two companies both shared a common studio and writers, which can be traced to Optimum Productions. 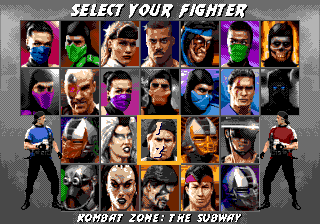 Combining many versions and hacks of UMK3, now with proper colors for Liu Kang, Shang Tsung, Stryker, and Nightwolf! 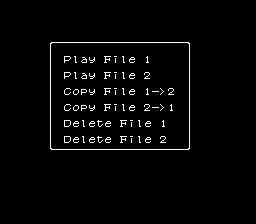 Still, this nemesis_c hack can't be emulated on Everdrive or Android emus. Works fine on my Mega Everdrive as long as the Sega CD/32X isn't attached. I wish he'd make a separate version of his awesome hack with just MKT Johnny Cage added to the roster. 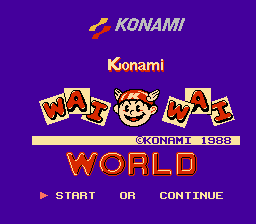 I'm doing an update for Konami Wai Wai World. New titlescreen. 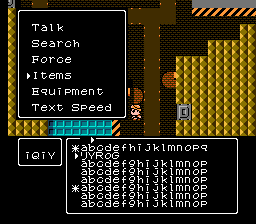 Found the offsets and whatnot for the dialog. I have done the minigames so far. 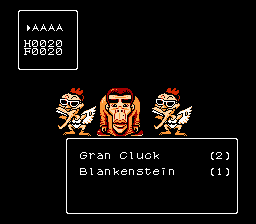 Gonna restore the original graphics too.